In the lead-up to Victoria Beckham's New York Fashion Week show this Sunday, the designer has been wearing one pair of trainers on repeat. So far, the designer has been spotted in her classic Adidas £50 Superstar trainers three days on the trot. It's perhaps not so surprising given her increased workload; as she said to Vogue: "Throughout the week [leading up to her catwalk show], the shoes will turn into trainers and the dresses will turn into baggy trousers. It's about being comfortable this week." 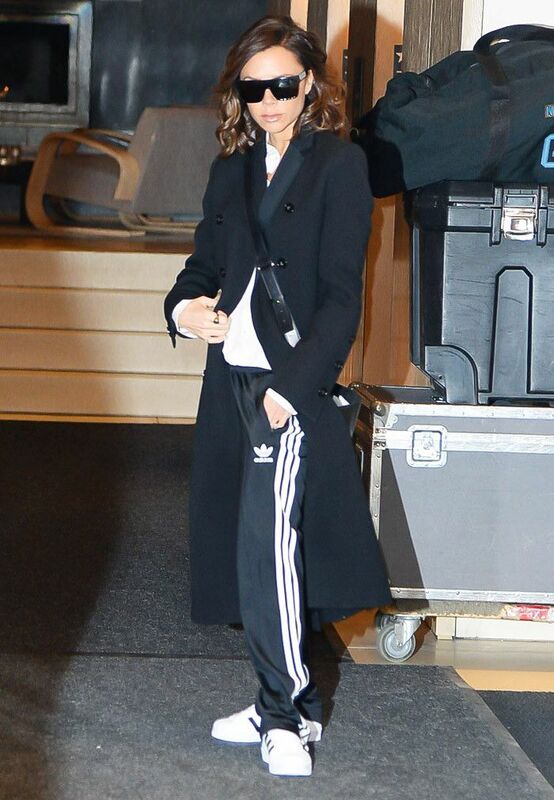 On Victoria Beckham: Adidas Europa Track Pants (£48) and Superstar Trainers (£50). On Friday, VB took the comfort dressing further than we could have ever imagined and slipped on a pair of £48 tracksuit bottoms. There's no denying it, the designer who usually favours structured tailoring and smart silhouettes channelled Sporty Spice wearing the typically '90s three-stripe Adidas trousers with her shell-toe trainers. This is easily the most relaxed VB look we've ever seen. Keep scrolling to see the main fashion stories from the week you might have missed. These are the 17 pieces you're about to see everywhere. If you're tempted to try these plastic pants, we've found the best pair. The hashtag all fashion girls are tagging again and again and again. Could this mark the end of the crop top–and-legging uniform? Our friends at Byrdie review the probiotic everyone is obsessed with. Including the best brands to master the multiple earring trend. How to style these classics in 2017. In the mood for some weekend shopping? See the best discounted purchases on The Outnet that are so 2017.